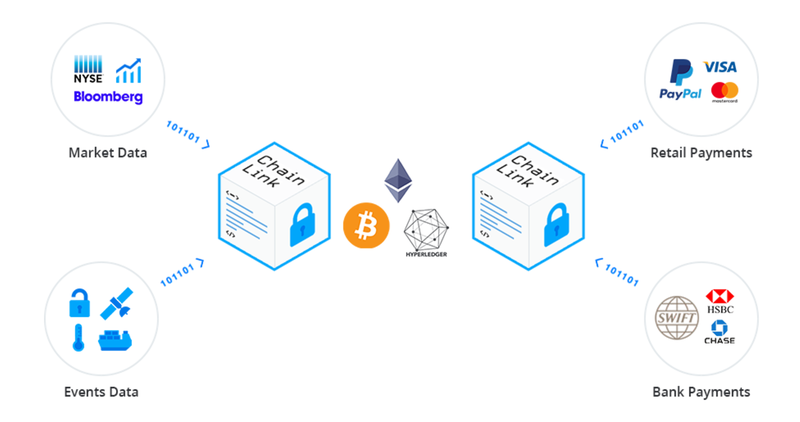 ChainLink ICO: ChainLink is secure blockchain middleware that allows smart contracts on various networks to connect with the critical resources they need to become useful for 90% of use cases. They have been creating secure oracles for Bitcoin and Ethereum for over 3 years, connecting smart contracts on various networks to critical external data feeds as triggers, and many off-chain systems they need to become operational. As developers begin to implement their chosen smart contract, they encounter connectivity problems; their smart contract is unable to connect with key external resources like off-chain data and APIs. This lack of external connectivity is due to the method by which consensus is reached around a blockchain’s transaction data, and will, therefore, be a problem for every smart contract network. Smart Contracts are unable to communicate with external resources on their own. Data feeds, any/all APIs and traditional bank payment systems are all inaccessible to smart contracts without blockchain middleware like ChainLink. This limitation is inherent in how smart contract data is secured on a blockchain and is due to the way that consensus is reached by miners around blockchain-based transaction data, this limitation will remain for all smart contracts for the foreseeable future. The way this problem is traditionally solved is by using blockchain middleware called an “oracle”, which is the role ChainLink plays in the smart contract ecosystem. The Chainlink Network is the first decentralized oracle network; allowing anyone to securely provide smart contracts with access to key external data, off-chain payments, and any other API capabilities. Anyone who has a data feed, useful off-chain services such as local payments, or any other API, can now provide them directly to smart contracts in exchange for LINK tokens. Becoming a ChainLink Node Operator allows developers to monetize their experience with a specific API. It also allows data providers, payments providers and various online service providers (for example e-signature) to sell their API based services directly to a smart contract. By creating a decentralized infrastructure for smart contracts to access critical off-chain resources, there is a scalable, secure and auditable way to add data, off-chain payments and APIs into a smart contract.